The dramatic scale of the grand rondel is extraordinary. 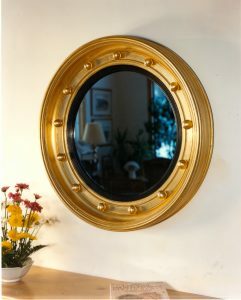 Deeply undercut, the turned molding is 6″in width, 5″ i depts, and 33″ in diameter. Thirteen fully round balls symbolize the original colonies of the Federation.